"I'm Brock! I'm Pewter's Gym Leader! I believe in rock hard defense and determination! That's why my Pokémon are all the Rock-type! Do you still want to challenge me? Fine then! Show me your best! 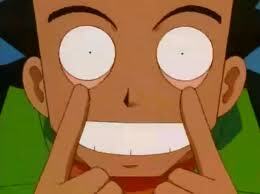 "- Brock, Pokemon Yellow. Brock (タケシ Takeshi) serves as the Gym Leader at the Pewter City Gym, and holds the Boulder Badge for the trainers that defeat him in a Pokémonbattle. In the Pokemon games, Brock specializes in and only uses Rock-type Pokémon. In the anime series, Brock was the longest lasting traveling companion to travel with the Trainer Ash Ketchum. Brock, as well as Dawn, separated from Ash when their journey in Sinnoh ended. In the Pokemon Diamond and Pearl Special Episode 2, he has photos of Ash, Misty, May, Max and Dawn reminding him of his journeys with them. Brock.Added by Toonguy500In the Pokémon anime, Brock aspires to be the greatest Pokémon Breeder, and gives up his title of Gym Leader after Ash Ketchum wins his first KantoLeague Gym Badge from him. He is first seen taking care of his nine siblings. After Ash loses to Brock, a stranger offers to help make hisPikachu stronger. Pikachu (after being hooked up to a local hydro-power station) becomes stronger and manages to defeat Geodude, but Onix remains too strong. Onix has Pikachu in a body bind; however, Pikachu's previous electric attack ravaged the gym, which set off the sprinklers, weakening hisOnix. Ash declines the badge on the grounds that he unfairly beat Brock, but Brock later catches up to him and presents to him the badge, saying that he wants Ash to fulfill his dream of becoming the best. The stranger that first helped Ash reveals himself to be Brock's father, Flint, who has a tendency to not notify people it is him. Brock is now free to train himself, and joins Ash andMisty on their journey. Since then, he travels with Ash and Misty on his many adventures. In theOrange Islands series, he leaves the team to join Professor Felina Ivy, but mysteriously returns to Pallet Town when Ash wins the Orange League Championship. Rejoining Ash and Misty, Brock travels to Johto, where he continues to help Ash and Misty. Upon the conclusion of the Silver Conference, the three part ways, Brock heading back to Pewter City. It is there (in an episode of Pokemon Chronicles) that he discovers his estranged mother Lola (Mizuho in the original), who, because she is a Water-type Pokémon Trainer, has ruined the reputation of the Gym he defended so long ago and had ended up filling the gym with water (causing Brock to comically freak out and keeps repeating "A LAKE!!!" when he first see's it). By defeating his mother, he restores the Gym's reputation, and proceeds to leave all his Pokémon (except Forretress) to his younger brother Forrest, before departing for the Hoenn region, where he catches up with Ash and his two new friends, May and Max. The group travel across Hoenn and then return to Kanto to participate in the Battle Frontier. The group went their separate ways and Brock met up with Ash in Sinnoh. While there, they meet a new coordinator named Dawn and her partner Piplup, who joins them on their journey through Sinnoh. During this time, both Brock's father, Flint (Munō in the original, who was also Brock's predecessor as Gym Leader), ran off again, and his oldest younger brother Forrest (Jirō in the original) took the role of Gym Leader inPewter City, as well as the responsibility of caring for his many other younger siblings. Brock is the oldest of ten siblings, with five brothers and four sisters. Brock is always well-equipped, and is sometimes the voice of reason when Ash and Misty (and later, May andDawn) get into an argument. He is also hardworking and is always willing to help others. Coupled with his experiences in taking care of others, Brock often prepares food and does most of the chores for the main characters. Brock is also exceptionally good at making food for Pokémon. Over the course of the series, there have come to be a couple of recurring gags related to Brock that have become quite prominent. 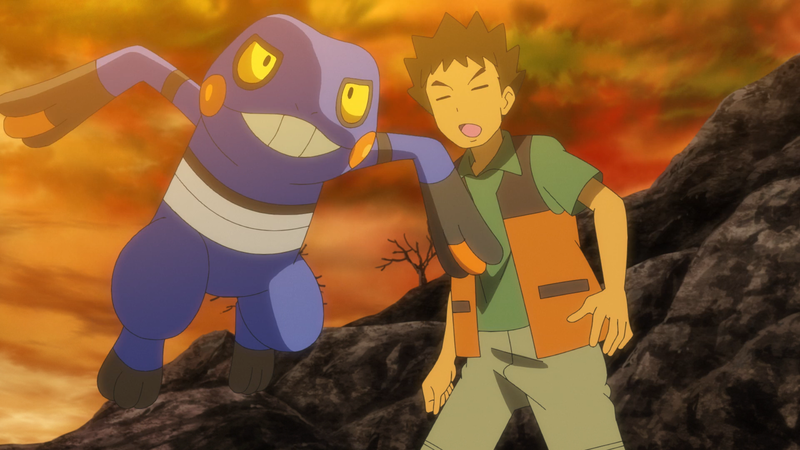 One of the most notable running gags in the anime is that Brock makes advances on virtually every girl (similar stlye of Barbie dolls) his age or older, and is usually met by rejection, confusion, or being dragged away from them by Misty, Max, or his Pokémon, Croagunk. One of several exceptions was Professor Ivy, the Pokémon Professor from the Orange Islands, with whom he spent some time away from the show. He later returns but refuses to explain why he left her, simply saying "Don't mention that name!" Pike Queen Lucy of the Battle Frontier in Tohjo Falls seems to have a liking towards Brock (partially because she has a soft spot for Pokémon with squinty eyes) almost traveling with him, before Max interrupts. Other girls who had feelings for Brock include Wilhelmina,Temaku, Natalie, Autumn, Narissa, Lizabeth and Holly. His crushes include the various Nurse Joy's and Officer Jenny's, which he can differentiate with ease based on very perceptive but minute observations. Because of this, he can spot impostor Joy's and Jenny's instantly. An other one of the notable running gags is how Brock is forced to entertain an audience while other characters retrieve something which would typically be another Pokémon that would have been putting on a show for the current audience that has likely been stolen by Team Rocket. During the cases in which he do as such he repeats one song (usually an English version of "Takeshi no Paradise", one of the Japanese ending themes) ad nauseamto the point that he is either booed offstage or loses interest in singing he reveals that he sings this song over and over is because its the only song he knows. After ash finished the Sinnoh league Ash and Brock left back to Kanto and went their seperate ways. In the Pokemon DP Special Episode 2, Brock is shown studying to become a Pokemon Doctor, and even has photos of Ash, Pikachu, Misty, May, Max, Dawn and Piplup, possibly a sign that this is Brock's last appearance in the series. Red battled Brock for a gym badge but almost lost because his Bulbasaur isn't listening to him. But he still won. Brock, in the main series Pokémon games, has always been featured as the Pewter City Gym Leader. 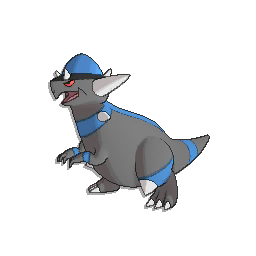 He firstAdded byAmyroseloveappeared in the original games, and later on, an older version of Brock was seen inPokémon Gold and Silver. Brock was again the Pewter Gym Leader in the Red and Blue remakes, Pokémon FireRed and LeafGreen, with an updated appearance. An updated version of the Gen II Brock is seen in the remakes; Heartgold and Soulsilver. My rock-hard willpower is evident in even my Pokémon. That's right - my Pokémon are all the Rock type! There aren’t many serious Pokémon trainers here. They’re all like Bug Catchers, you know, just hobbyists. But Pewter Gym’s Brock isn’t like that, not one bit. Brock is cool. He's not just tough. I want to become a Gym Leader like him. Hi. I’m excavating for fossils here under Mt. Moon. Sometimes, Brock of Pewter Gym lends me a hand. In this big world of ours, there must be many tough trainers. Let's both keep training and making ourselves stronger! 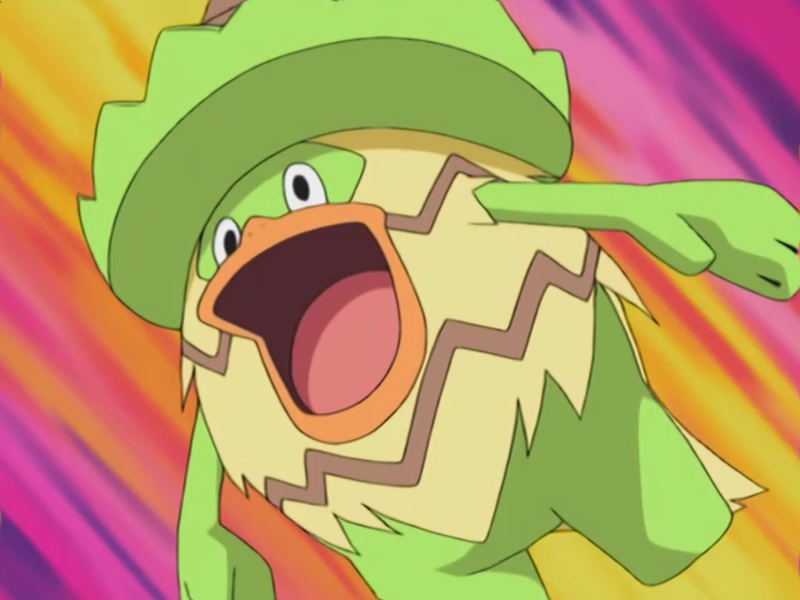 Having evolved from Bonsly, Sudowoodo has shed it's child like persona and has become a powerful Pokémon of Brock's team. 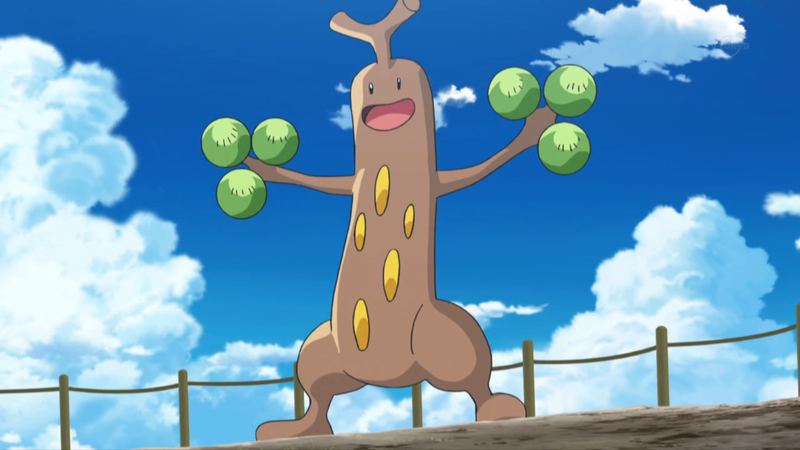 With Powerful attacks including Mimic and Headbutt, Sudowoodo is the powerhouse of Brock's team. It will be a gym pokemon in Pokemon Best Wishes. Croagunk is a rather stubborn Pokémon. Meeting him at an unofficial Pokémon Gym ran by Team Rocket, Brock and Croagunk quickly gained a close friendship. Eventually teaming up together to get rid of Team Rocket, Croagunk decided to join Brock's team. It has many powerful fighting and poison attacks and will become a vital asset to Brock's team.When Brock sees a girl, Croagunk uses Poison Jab on him. While on the boat to Twinleaf Town, Brock's Happiny evolved into Chansey while trying to help a Pichu. 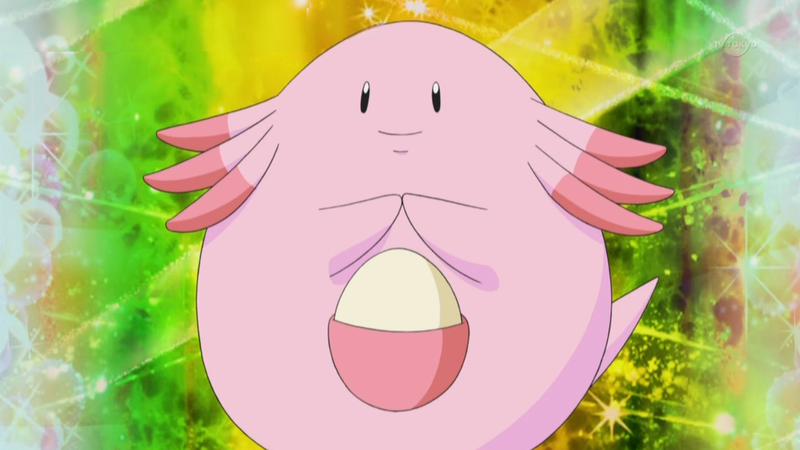 It is currently unknown if Chansey has kept the strength it had as a Happiny, but it knows the move Softboiled which it used to heal the Pokémon on the boat. How Brock obtained Geodude is unknown, however Geodude has always been a vital member of Brock's team, always being there for battle or for certain contests. 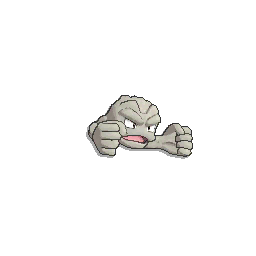 Geodude is an unfailingly fun loving Pokémon that is known to have fun with Pikachu and the other Pokémon on many occassions, however it was seldom seen. When Brock left for Hoenn, he also left Geodude in Forest's care. Brock's Geodude debuted in Showdown In Pewter City. 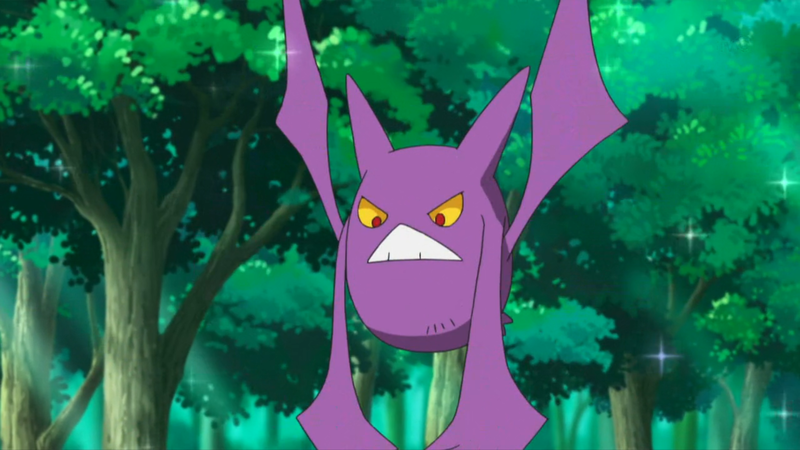 Evolving due to Brock's immense care and bond with it while in battle with Team Rocket, Crobat is a Pokémon that follows the orders of its trainer. With its four wings, it is a super fast flying Pokémon that has been known to help Brock out of jams on several occassions. When Brock left Pewter Gym for Hoenn, he left Crobat under the possession of his brother Forrest, however Crobat is overjoyed to see Brock whenever he returns to the gym. Brock's Crobat debuted in Clefairy and the Moon Stone as a Zubat, 'Hassle in the Castle as a Golbat and Control Freak as a Crobat. After evolving from Pineco, Forretress became Brock's most commonly used Pokémon. It got over its habit of exploding when near Brock and became a powerhouse. Forretress was the only one of Brock's Pokémon that he took to Hoenn with him and resided as a vital member of his team until Sinnoh. Brock's Forretress debuted in 'Entei at Your Own Risk as a Forretress. After evolving, Marshtomp became a strong Pokémon often used to settle fueds or just in simple battle. Marshtomp is a well mannered Pokémon which takes after it's trainer a little bit in regards to romance. Brock noteably used Marshtomp in a Pokémon Contest against May. Brock's Marshtomp debuted in A Chip Off the Old Brock. Vulpix was an incredibly particular Pokémon, only eating food that either it's original trainer, Suzy, or Brock made. Through seeing the care that Brock went into in looking after Pokémon, she decided to let Brock look after it. 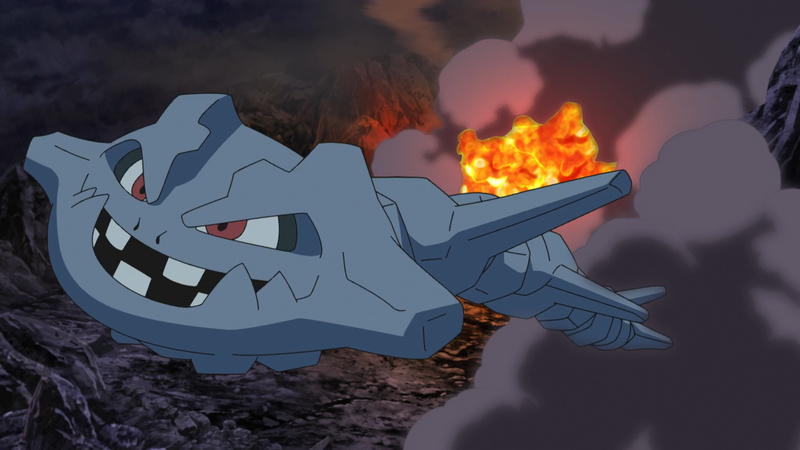 Brock was often seen grooming it and sometimes used it in battle, mostly however in training with Ash. Vulpix, while a little bit spoilt, did enjoy playing about with the other Pokémon. Eventually Brock met up with Susie again and decided that Susie should keep Vulpix again. Brock's personality reflects the one of Uxie, the Knowledge Pokemon. Brock owns a Pokegear as of DP144 which he gets from Khoury's father. Brock's name is a play on the word ROCK, because he is a rock type pokemon trainer. In all of the Pokemon Games, Brock has an Onix . In the Pokemon DP Special, Brock has photos of Ash, Misty, May, Max, Dawn, Pikachu and Piplup to remind him of his past journeys through Kanto, Hoenn, Johto, and Sinnoh. This may be a sign that this special was Brock's last appearance in the series. Brock is very talented cook, especially when it comes to making food for Pokémon (this is related to the fact he is a Pokémon Breeder). In the DP Episode 'Pokémon Doctor Brock', Brock thought of departing from the group with his newly evolved Chansey to become a Pokémon Doctor.